Apparently the virtue of learned patience is only applicable to dog toys . 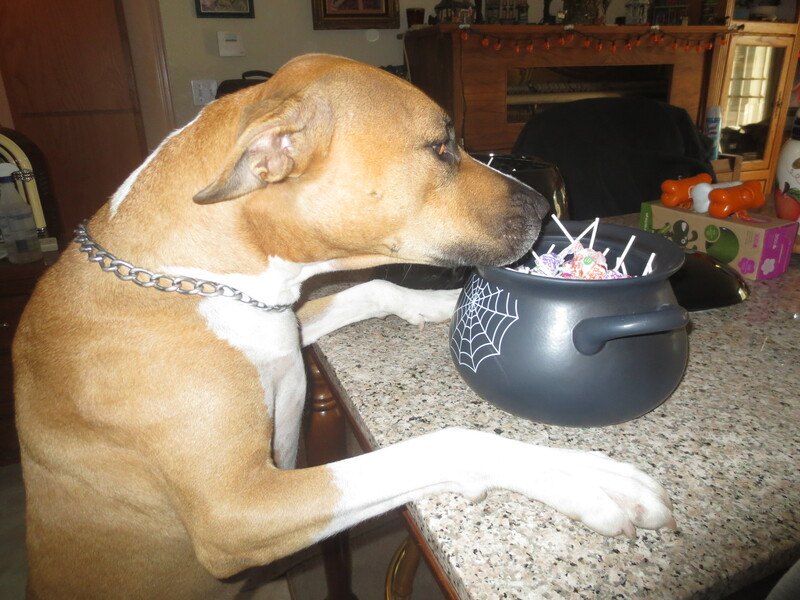 . .
and not to cauldrons of candy.